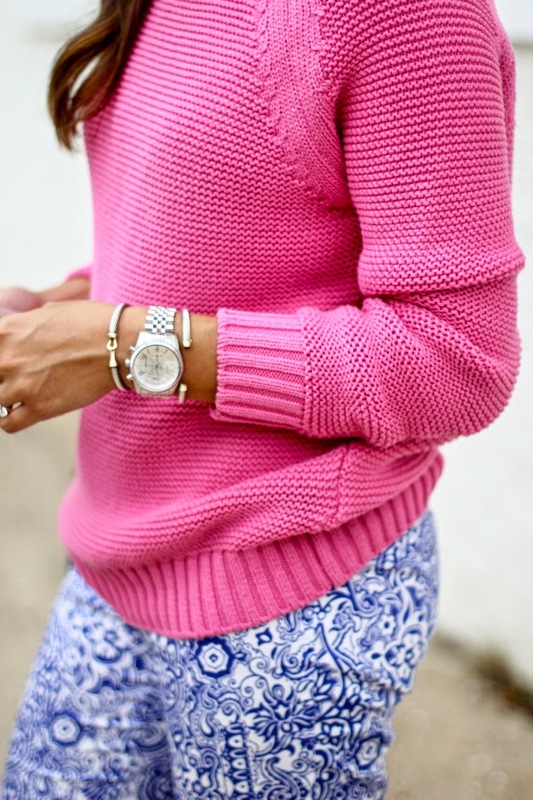 This sweater is one of my favorite transition pieces for fall. With it’s chunky knit texture it gives plenty of warmth and structure to an outfit while still tying in spring colors. I used to think wearing a sweater over my shoulders was a little ridiculous and meant I was trying to fake people out by making them think I went to an Ivy-league. It’s very “wedding-crashers-esque” if you will. But my current approach is that it just means the arms won’t be stretched out (which might happen if I tied it around my waist). 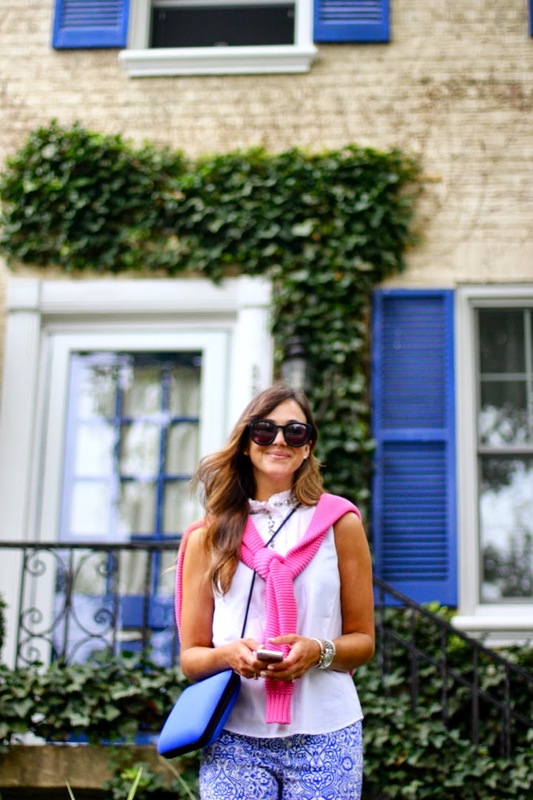 What do you think: trying to be too preppy or perfectly practical? Thanks so much for reading!